Students of Kierkegaard are familiar with his dogged polemic against Hegelianism, his critique of Friedrich von Schlegel’s Romantic irony, and his visit to Schelling’s lectures in Berlin. However, these are only a few well-known examples of a deep relationship that Kierkegaard had with German culture. In Faust, Romantic Irony, and System, Jon Stewart maps out the many ways in which German thinkers and writers inspired and influenced the Danish philosopher. Kierkegaard’s famous criticisms of the Hegelians, Schlegel, and Schelling has led many to view him as anti-German. As Stewart shows, however, he offered high praise for other German thinkers, including Johann Georg Hamann, Gotthold Lessing, and Friedrich Adolf Trendelenburg. 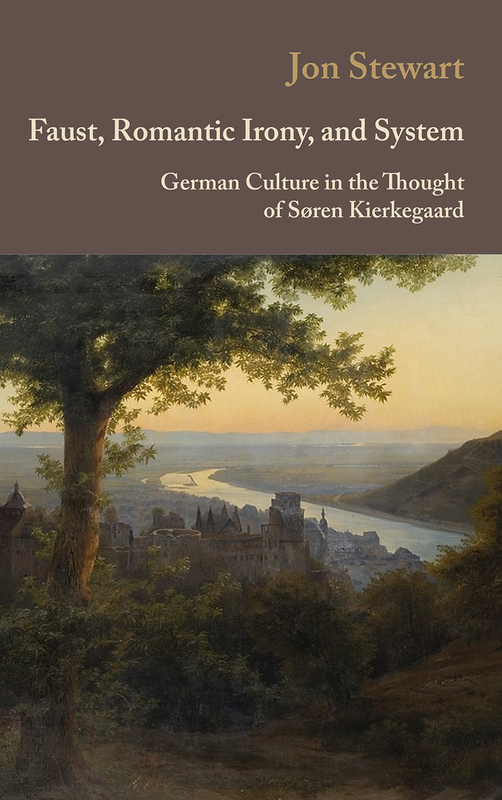 Stewart traces the many points of contact between Kierkegaard and a range of German thinkers, and ultimately he argues convincingly that were it not for the influence of German culture, Kierkegaard would have been a very different, and less lasting, philosopher.